Emma has been wanting to do this for some time. 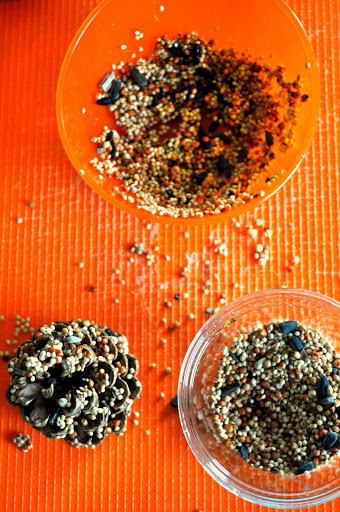 We also did this fun easy project in our children’s church yesterday and I was able to take home a bit of birdseed. Yay! Just hang on onto a tree near a window. 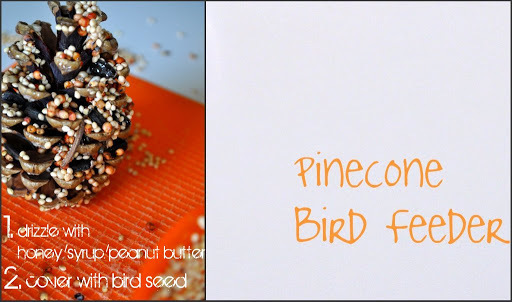 I’m praying we get to see at least ONE bird feast on one of our 4 cones we made. lol Do this! I would say it takes maybe 5 min. I want to try it, too! Thanks for sharing.